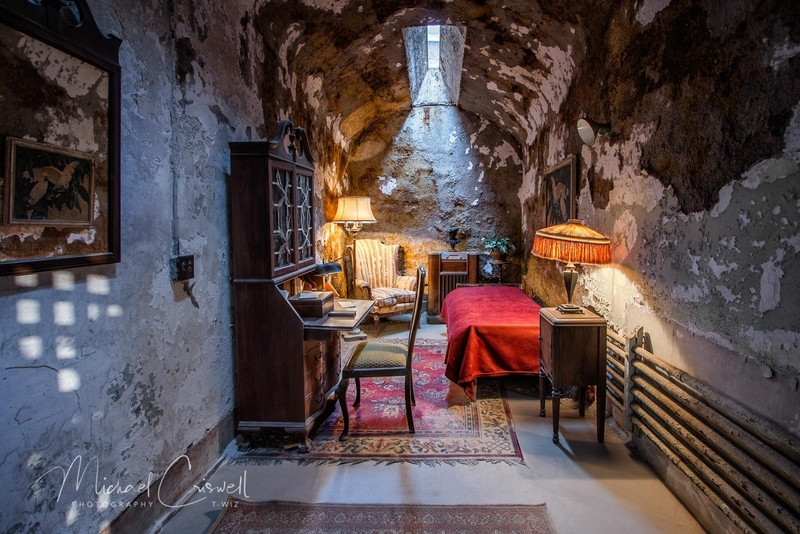 Eastern State Penitentiary Archives ⋆ Michael Criswell Photography "Theaterwiz"
A shot I dug up from the archives, if you like abandoned, old historic places there is no better place to shoot in Philadelphia than the Eastern State Penitentiary. In the heavy populated neighborhood of Fairmount lies the ominous Penitentiary walls that rise high above Fairmount Avenue. The place is well worth seeing if you in Philadelphia. From 1829 to 1971 the Penitentiary housed some pretty bad criminals. One being Alphonse Gabriel Capone “Scarface”. Al Capone spent a short time in Eastern State they allowed Capone comforts not typically granted to inmates, including fine furniture, oriental rugs, oil paintings and a fancy radio. Capone’s arrest came at a time of escalating mob violence in Chicago, and he was often accused of hiding in prison intentionally. He spent thousands of dollars trying to get himself released, and he denied all his life that he came to Philadelphia to hide. This is a shot of the famous cell Al Capone had in Eastern State. Back at Eastern State in Philadelphia, the iconic Cell 10 Barber Chair in the Penitentiary. A great cell to shoot. I am not sure of the history of the chair, if it was originally in that cell or was just placed there for the great location and lighting the cell had, makes for a creepy setting for sure, and a location that is highly photographed, there is always a camera and tripod cramming into the small cell opening and usually a couple more waiting in the wings for the shot of the chair. One from the archives I wanted to process, ya gotta love Eastern State.